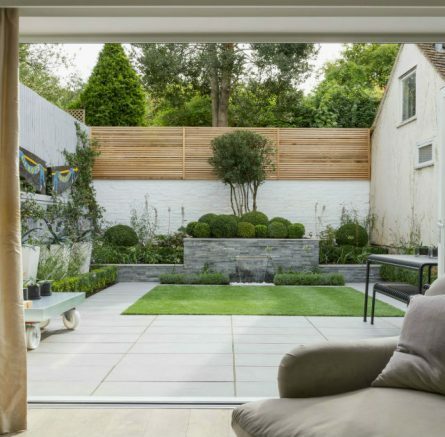 A large block paved driveway transformed into a beautiful front garden, created a whole new room with a view. 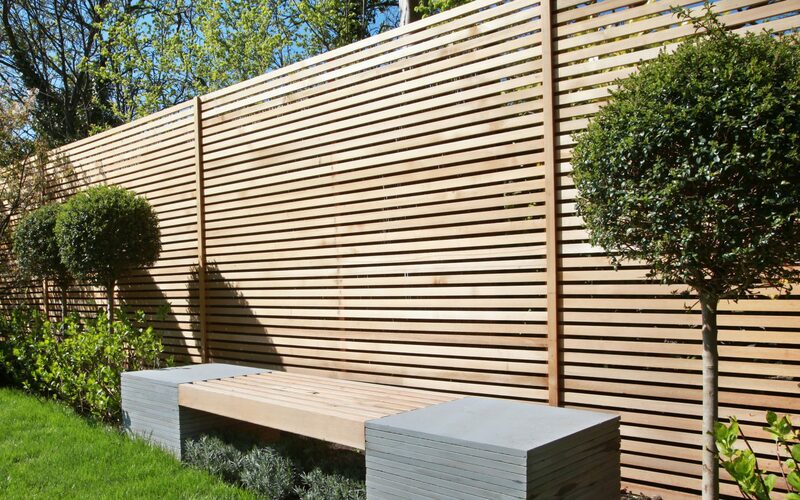 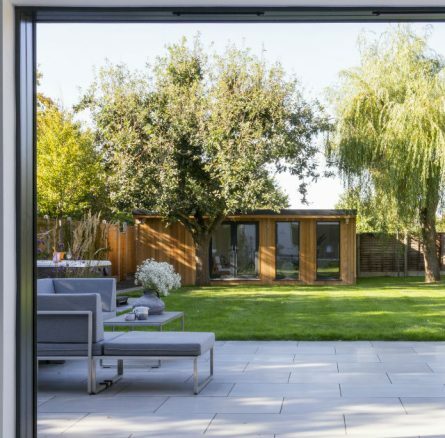 Cedar slatted fencing and instant hedging created a contemporary backdrop for this new space. 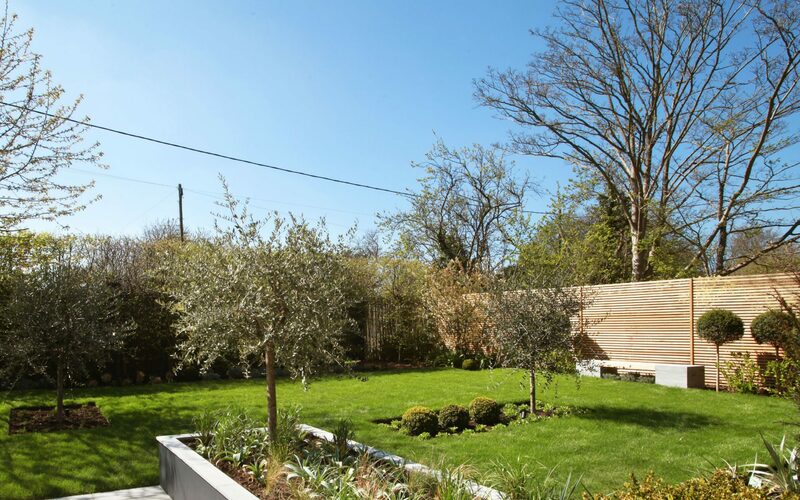 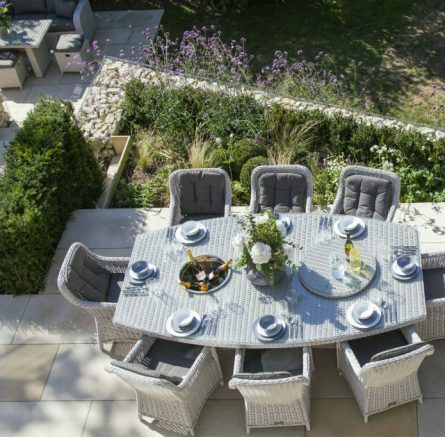 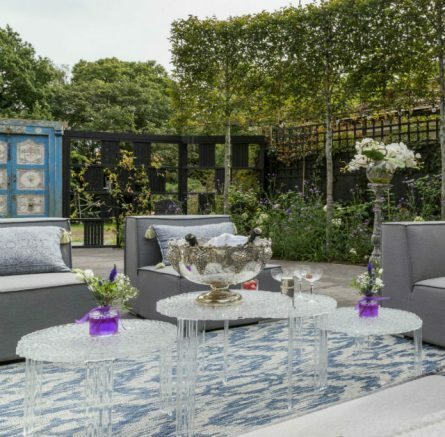 A bespoke cedar and natural stone seat was placed in the sunniest spot with views across the garden. 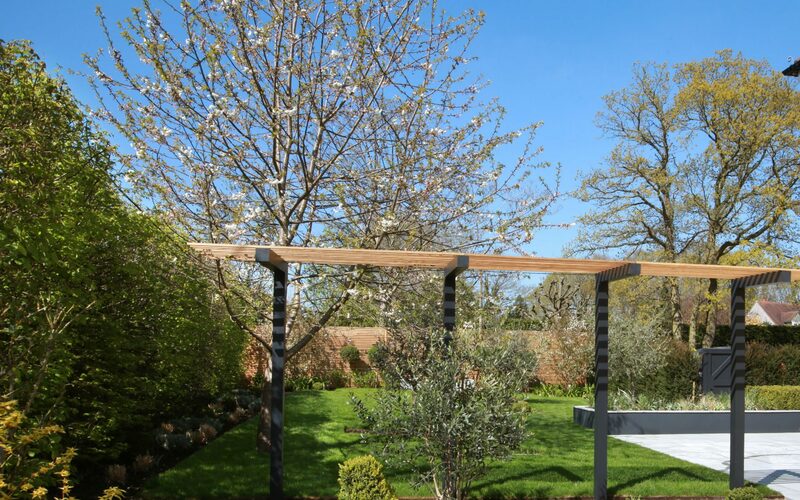 A matching bespoke Pergola separated the rear and front gardens without enclosing the areas. 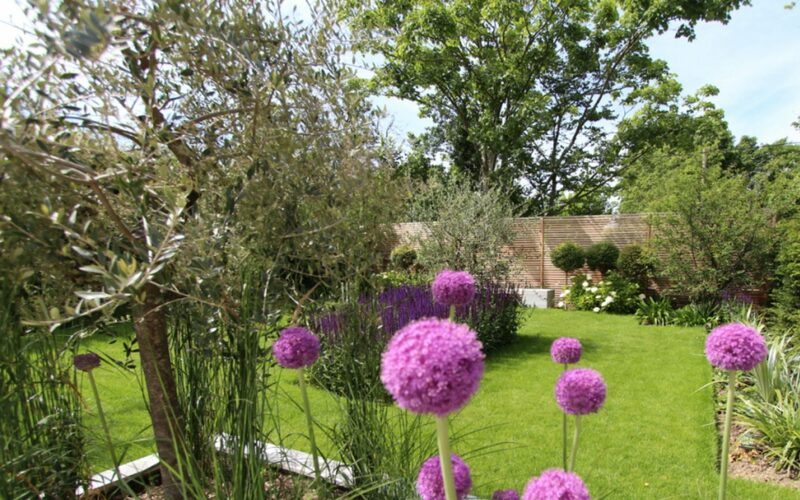 Raised bed planters filled with contemporary planting in hues of pink and lilac added colour. 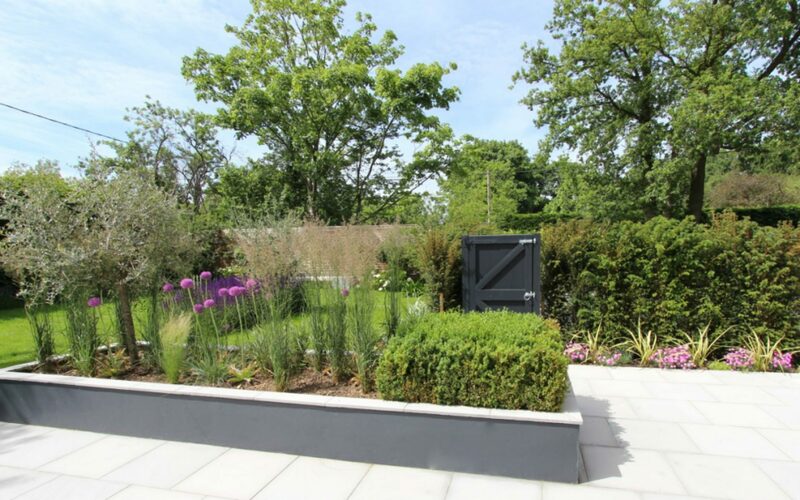 Finished with a contemporary light grey sandstone to enhance the sizeable space.